The former English defender is adding on more wealth by being in charge of the national team. During his active footballing career, Southgate has helped Middlesborough and Aston Villa to clinch the League Cup and had also captained another EPL side, Crystal Palace to lay their hands on The First Division championship during the 1993-1994 season. Gareth has been bestowed upon with the BBC Sports Personality of the Year Coach Award for taking England into the semi-finals of the 2018 FIFA World Cup. He resides in a six-bedroom property which took him around £3.75 million. 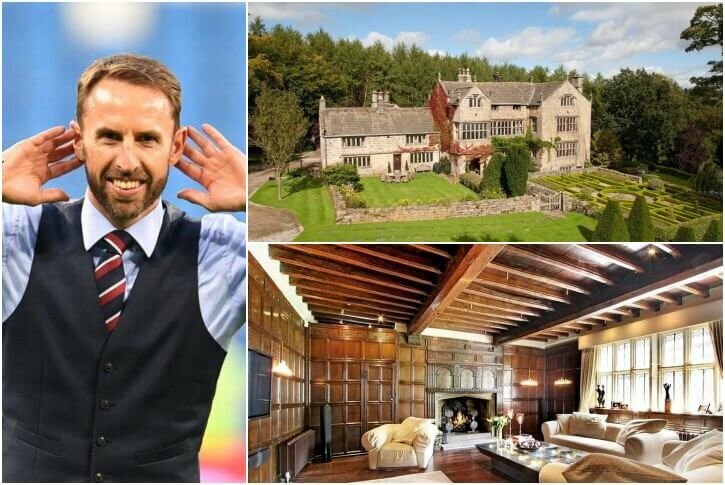 The luxury Yorkshire pad has features such as a wine cellar, a cottage within the premises, marble furnishings, and a private cinema room to add on. The 16th century Manor house stands on 4.5 acres. Impressive!